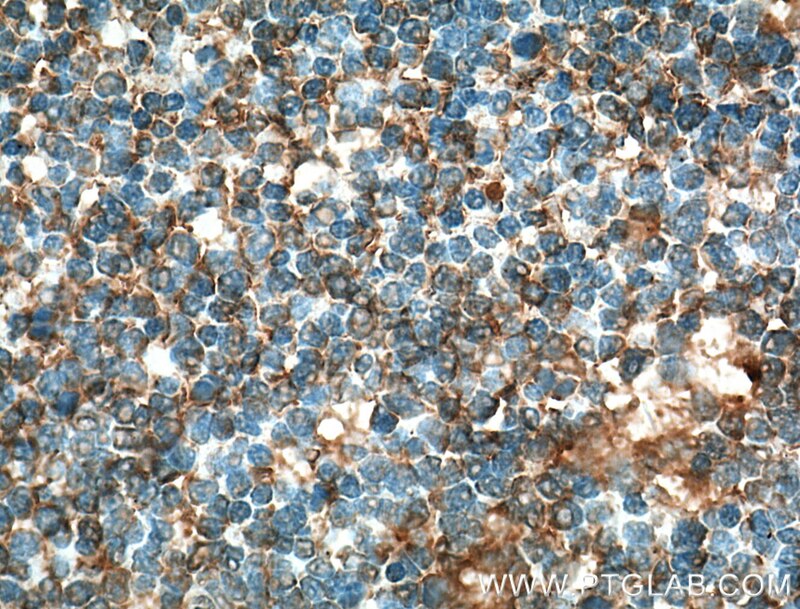 Immunohistochemical analysis of paraffin-embedded human tonsillitis tissue slide using 66406-1-Ig (CD80 / B7-1 antibody) at dilution of 1:200 (under 10x lens) heat mediated antigen retrieved with Tris-EDTA buffer(pH9). 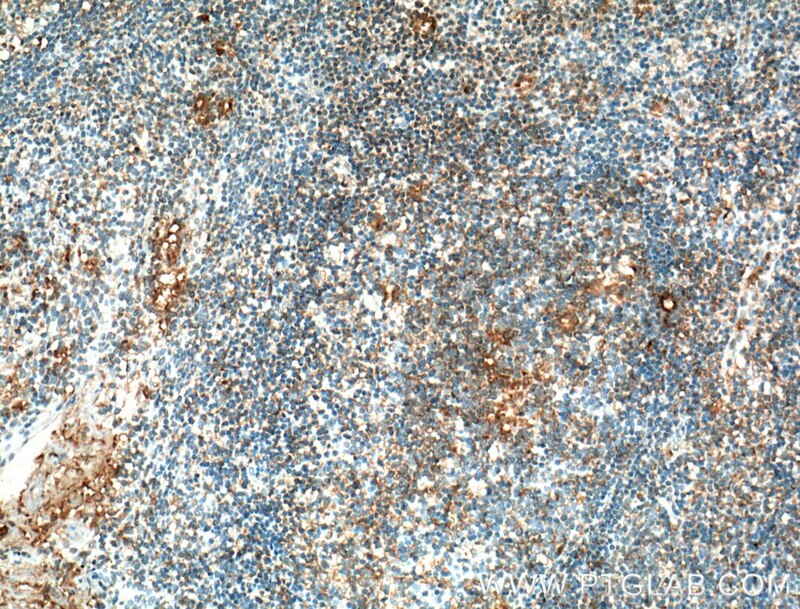 Immunohistochemical analysis of paraffin-embedded human tonsillitis tissue slide using 66406-1-Ig (CD80 / B7-1 antibody) at dilution of 1:200 (under 40x lens) heat mediated antigen retrieved with Tris-EDTA buffer(pH9). The LncRNA MALAT1 regulates CD80 transcription via the NF-κB signaling pathway in the A549 cell line. Knockdown of LncRNA MALAT1 contributes to cell apoptosis via regulating NF-κB/CD80 axis in neonatal respiratory distress syndrome.